During this holiday season, there are many more people out at the stores and malls. This makes for a perfect environment for many different safety issues. We will start in the parking lot. You should be especially mindful of small children, both your own and others. Most children do not watch for cars, and often run out from between parked cars. This is also the time of year when vehicle prowls increase. Be sure not to leave purses, bags, boxes or other things visible in your car that might tempt a thief. This includes the GPS or satellite radio stuck to your windshield. Keep in mind, you may know that the box or bag in your car does not have anything of value in it but the thief does not. The thief will break your window to find out and it only takes a few seconds. Thieves have been known to break into cars for as little as a pile of CD’s. Because of the increased crowds, pickpockets are more prevalent. Be aware of your personal space and do not let people you don’t know get too close to you. Keep strangers at arm’s length and let them know that you see them. Hopefully, they will move on to an easier target. Keep all of your bags and purchases with you and under your control. Do not leave your purse unattended in the shopping cart, even if you are a few feet away looking at something. It only takes a fraction of a second to take your wallet out of your purse when you are turned around. Additionally, many purse thieves are females because they can take another woman’s purse and not look out of the ordinary. Many thieves today do not steal your purse or wallet for the few dollars inside. They can buy much more with the credit cards and information that you keep inside of it. This is one of the many ways identity theft occurs. Do not carry your social security card with you. Leave it at home someplace safe. Also, be aware of credit card skimmers on ATM machines and gas pumps that can read your card. There is usually a small camera hidden somewhere on the ATM to watch you enter your PIN as well. If it does not look right, don’t do it and notify a bank or gas station employee if possible. Beware of phone, mail, and email scams. Do not provide personal information to anyone, especially if they are unsolicited. Do not open email from unrecognized sources. Do not give out information about when you will or will not be home. This can tell burglars when it is safe to come to your house. Make sure the outside of your house is well lit and maintained so burglars do not have any place to hide while they break in. Always keep your doors and windows locked. If you go on vacation, have a trusted neighbor watch your house and pick up the paper. You may also request vacation house checks from your local law enforcement agency. They will check on your house while you are gone. Before you decorate your house and hang lights, inspect the items for damage that could lead to a fire. Be careful not to overload any one electrical circuit with too many things plugged into it. Make sure that the batteries in your smoke detectors are good and that you have at least one fire extinguisher in good working order. Many decorations and ornaments are small enough to be choking hazards to children and pets. Additionally, be careful not to put decorations in such a way that small children or pets can pull them down, or the things they are hanging on, and injure themselves. Do not drink and drive. There are plenty of other ways to get home and the price for drinking and driving is not worth it. Always remember to wear your seatbelt. There are more crashes this time of year because it gets darker sooner, the roads are more slippery, and there are more drunk drivers out. Let someone know where you are going and when you expect to be there. It is also a good idea to put a blanket in the car in case you become stranded. You might be there a while and it will get cold. Resist the urge to hitchhike if you become stranded and instead, ask the person to call help for you. Running from the police? 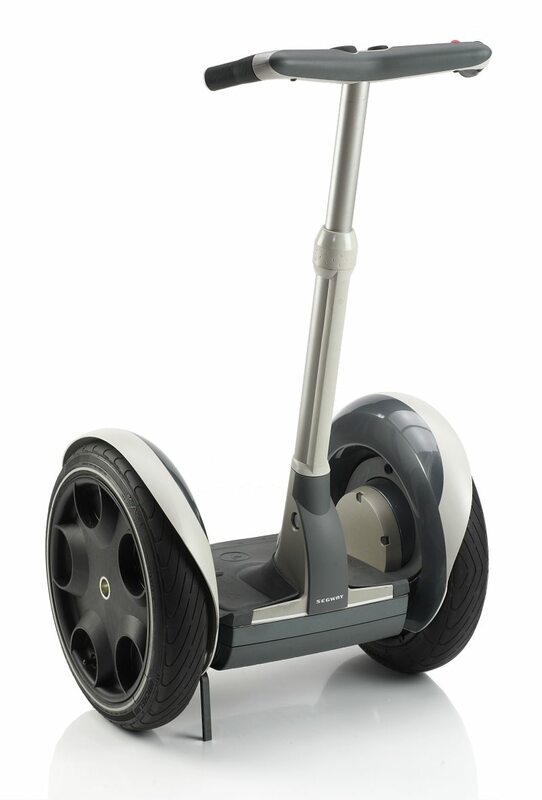 Well, if you’re in Bremerton, they’ll now be able to chase you by car, on foot and … on a Segway. Westsound Bank is donating the facncy wheels to the department, who bought it in 2007 for company functions but no longer has a need for it, according to a press release. And, to be fair, its use in apprehension of an eluding suspect is probably unlikely. But Bremerton Police Capt. Tom Wolfe sees a few areas of policing that it can aid. “We had just completed a training and evaluation period with a Segway and found out that it had worked well in both an enforcement capacity and in increasing the amount of positive police community interaction,” Wolfe said in a statement. “Prior to Westsound Bank’s donation we were struggling with a way to provide this tool to our community and our officers,” Wolfe continued. So, if you live in Bremerton, don’t be surprised if you see a Segway equipped with lights and sirens running around. If you turn on your radio Saturday night, you will hear right — the ever-gregarious Steve Boyer will be undoubtedly be chatting away. The Kitsap County sheriff will be a guest on Cop Talk Radio, a weekly program from 6-7 p.m. on KVI AM 570, a Fox News affiliate. Blogger’s Note: Columnist-slash-cop Steve Sutherland, a veteran officer with the Bainbridge Island Police Department, is here to talk about Tasers. Feel free to write more questions for him. For more past editions, click here. Officer Sutherland writes: Several writers are aware that I am a Taser instructor and I know that there is some controversy about this less-lethal weapon. I hope I can answer some of your questions with this column. To be certified as an instructor, I attended a 16-hour class. Two years ago I attended a 16-hour refresher class. I have been shot with the Taser once and had the probes attached to my clothing four other times. And yes, it is very painful, but once the five second cycle ends, you’re back to normal with no after effects. Blogger’s Note: Columnist-slash-cop Steve Sutherland, a veteran officer with the Bainbridge Island Police Department, is here to field another question. Feel free to write more questions or responses below. For more past editions, click here. The question, from blog commenter N. Sizemore: There have been some letters to the editor, re: bicycles recently and I would like to ask a cop if they give tickets to bike riders for violations or if he has any stories to share on the subject. I’m also interested to know if there are laws regarding biking under the influence. I was just reading a site that claims that 40% of bicycle fatalities are caused by the bicyclist being impaired. I find that hard to believe although I know that it does happen. The answer, from Officer Sutherland, is that bicycle riders are required by state law to obey all traffic laws and yes, they are cited for traffic violations. Ask A Cop: Are Garbage Trucks Exempt from Law? Blogger’s Note: Columnist-slash-cop Steve Sutherland, a veteran officer with the Bainbridge Island Police Department, is making his weekly appearance to field another question from commenters. Feel free to write more questions or responses below. For past editions, click here. able to see. Are garbage trucks exempt from the law? The answer, from Officer Sutherland: Thanks for the question; it’s a topic that officers are frequently asked about. Garbage trucks are not exempt from covering their loads or otherwise preventing the material from escaping. The question, from A Sailor: Name some of the best excuses people have given you in the hopes of getting out of that speeding ticket. The answer, from Officer Sutherland: A patrol officer hears a lot of explanations from drivers stopped for traffic violations.